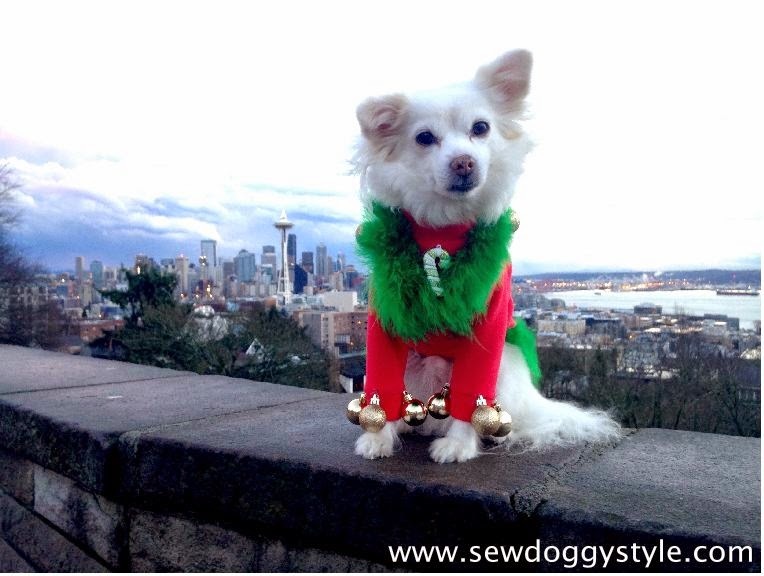 Sebastian and I are getting ready for our first Christmas in Seattle. It took us a little while to calm down from all the excitement of a new city, but we've managed to keep up on our yearly ugly Christmas sweater nonetheless! Besides, Sebastian wouldn't skip it for the world. 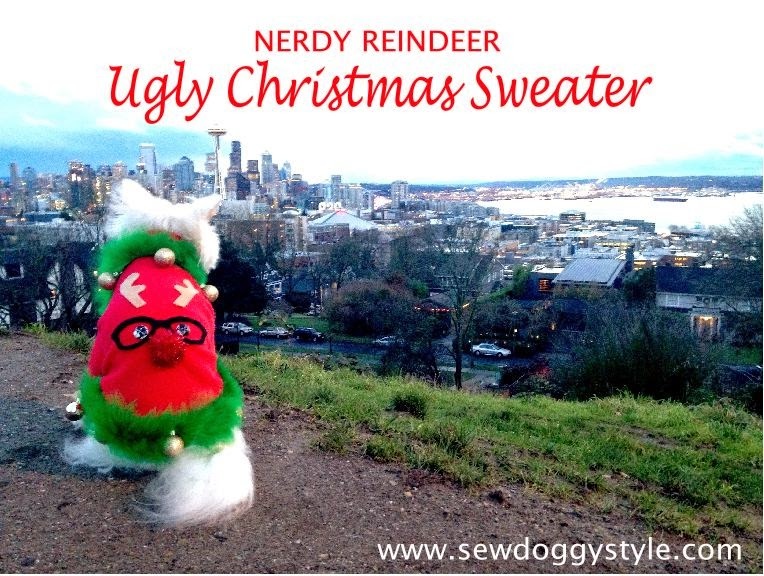 We initially just planned on putting a nerdy reindeer on this sweater as you can see from our original materials photo. 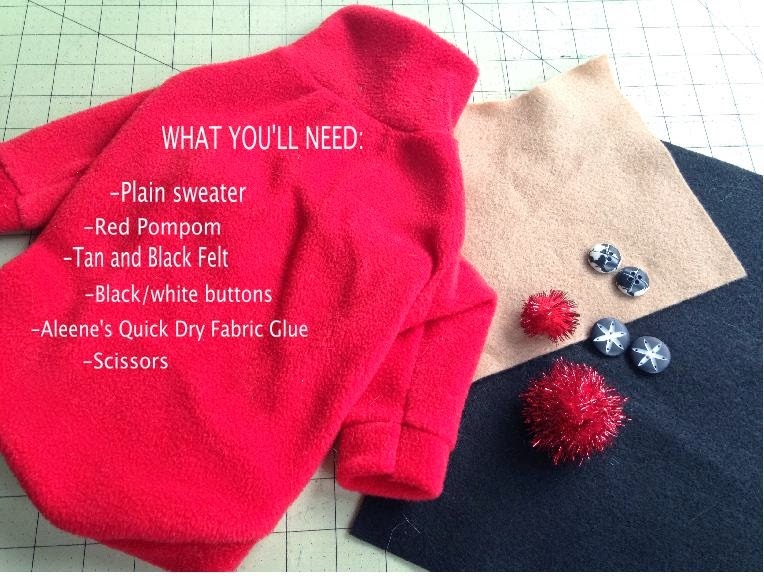 But if you've ever made an ugly Christmas sweater before, you probably know one thing leads to the next. There's no "stopping point" when it comes to these things. 1. 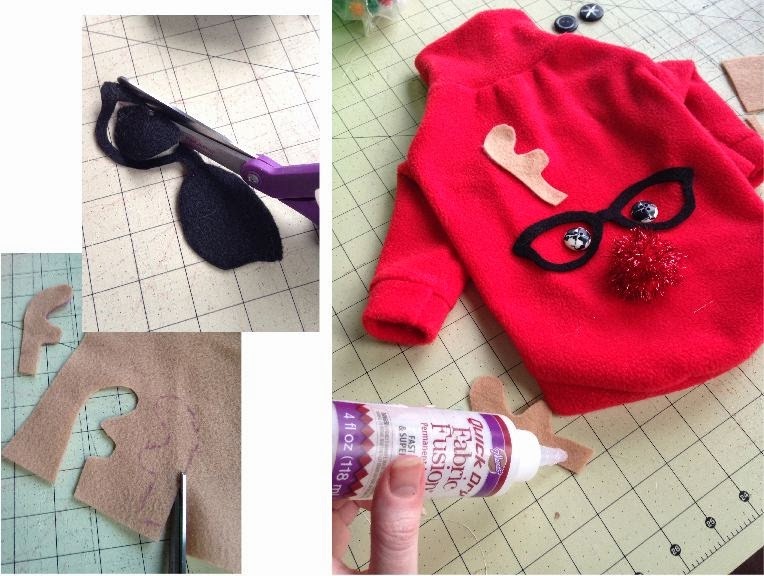 Draw out your pieces on the back side of the felt and cut out. If you can't draw, there's lots of reindeer and eyeglass images online you can print out. 2. 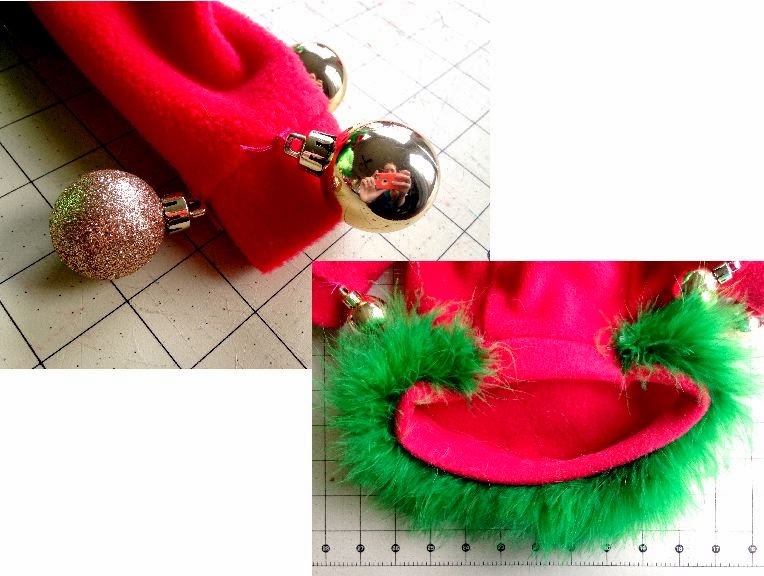 Glue the pieces into place, including your buttons as eyes (I suggest hand sewing the reindeer nose on). So after the nerdy reindeer was done, Sebastian and I glanced at each other and said, "Nope...not enough." 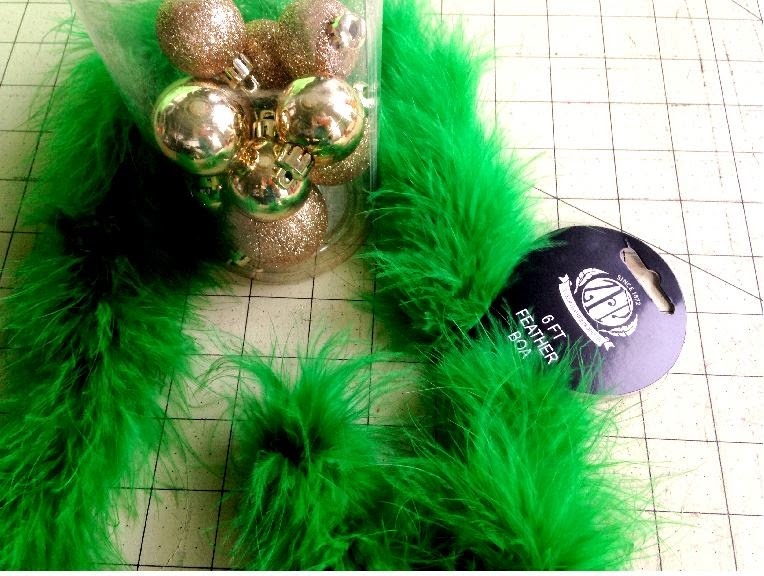 I started digging through my craft supplies and pulled out my green boa and ornaments. The gold ornament balls are the mini ones from Walmart designed for the miniature trees - they work perfectly for a small dog like Sebastian. The boa and ornaments are all hand sewn on. I wouldn't suggest gluing these items as much as dogs move around. At last, we were finished (not really)! 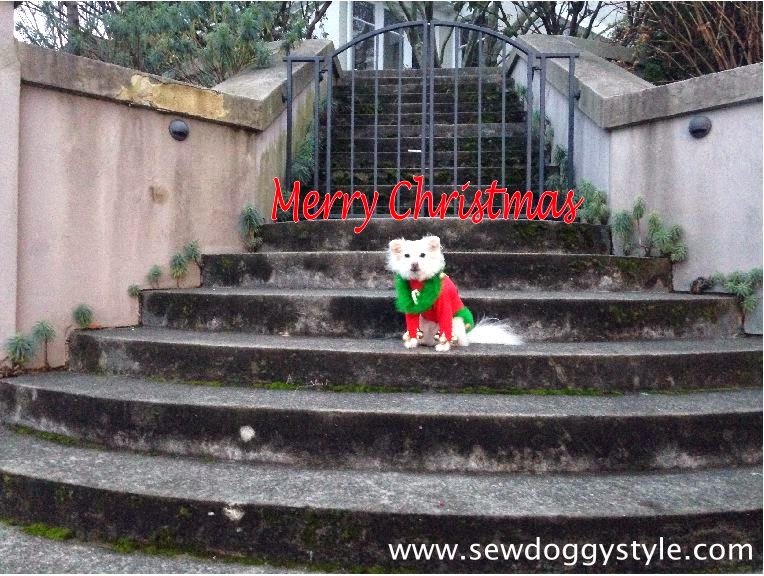 We made a team decision to stop and run down to Kerry Park just a few blocks away to get some photos of the new sweater before the sun went down. As usual, Sebastian made a scene and impressed the surrounding audience with his posing skills. 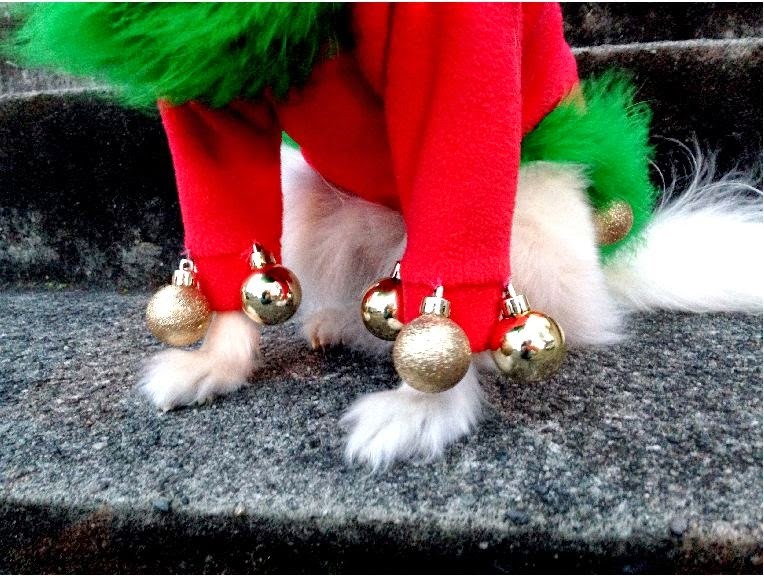 The ornament balls around the cuffs are a must-do if your dog will tolerate it. And that completes our ugly Christmas sweater for 2014. 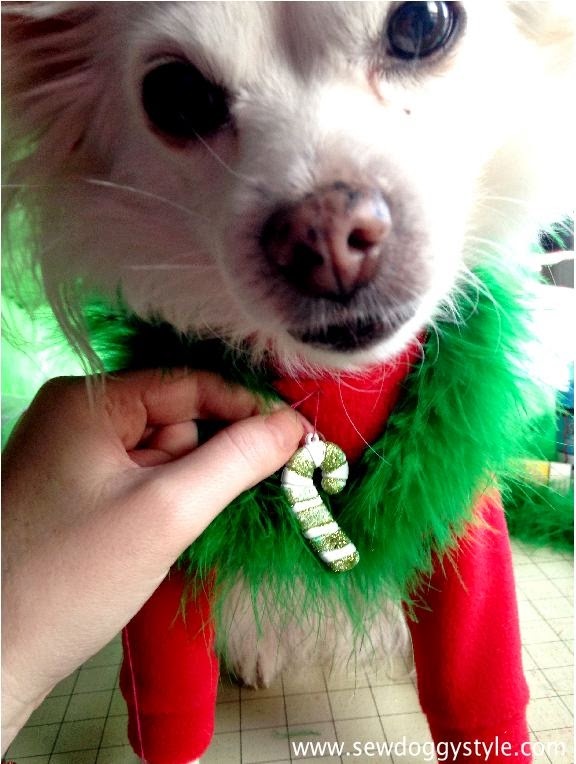 Merry Christmas to all of our furry friends out there! Cute! Cute! Cute! There's no ugly in this cool sweater! 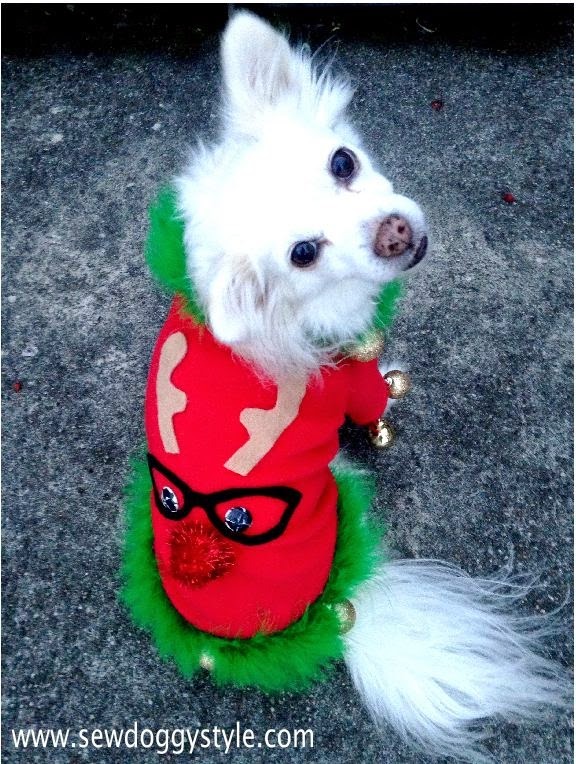 Awww, Sebastian looks adorable in his ugly Christmas sweater (that is really cute.) The bells are a hoot and the candy cane is fabulous. He is such a handsome boy and a great sport. Merry Christmas to you and Sebastian. Awesome sweater. Sebastian, you look marvelous. "Ugly" sweater - are you kidding? 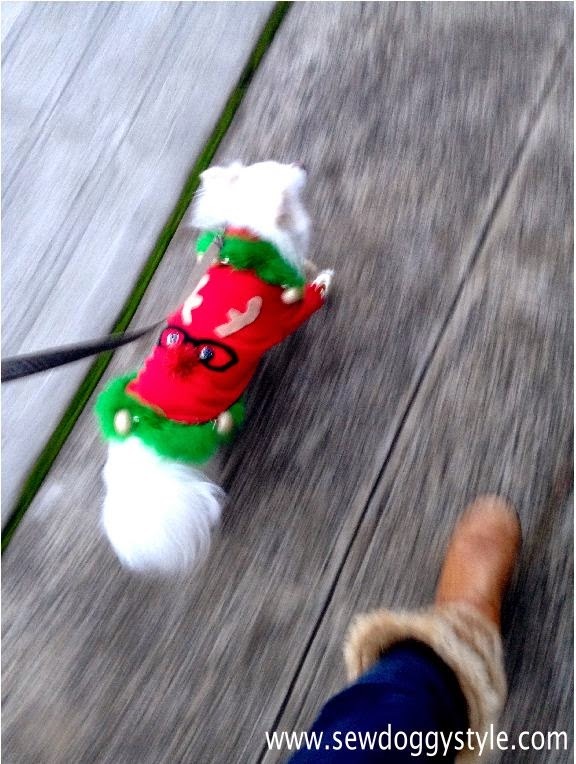 I LOVE it, it's the cutest reindeer sweater, especially the little balls on the leg! I would actually buy that sweater for my dog. You are very crafty, great job! That's the cutest "ugly" sweater I've ever seen. And the model is adorable. Adorable is more like it! Did you use a kids red sweater? @ Michelle Land - No, I made this one from scratch...but using a kids sweater is a great idea!!! Sebastian is such a cool model too.